The tune is great. The bird is gorgeous, and so is the FIAT 124. I caught myself humming the song already after just watching the video ad on the new Spider twice. Take a look and let me know what you think…about the creative FIAT has executed, the car which is coming and yes, the song as well. 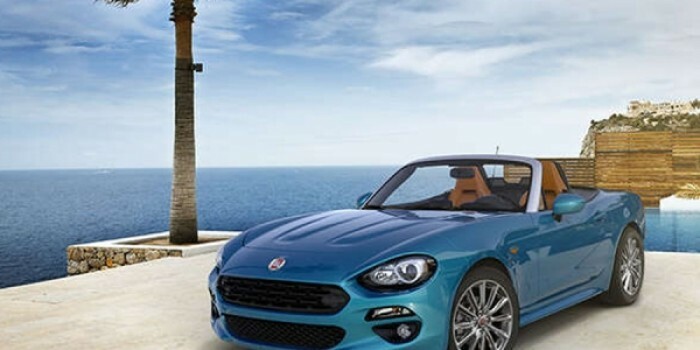 Do you like the FIAT 124 Spider? Now that I believe you are becoming more curious about the new FIAT 124 Spider, why not check out the small research page I have created for the Spider here on Alfa Romeo & FIAT of Tacoma‘s website. Or when you want more details, check out the post I have had written here on VJ Drives Tacoma. It is planned to have the first 2 Spiders showing up here at the #1 FIAT studio at the Pacific Northwest Region soon. I can imagine after all the buzz during the LA-Autoshow and the NY Auto Salon shoppers around the Puget Sound and Seattle area will come down to FIAT of Tacoma. This will be exciting to see it actually live here.